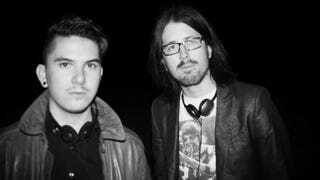 Will be directed by The Vicious Brothers (Colin Minihan and Stuart Ortiz). The Hollywood Reporter has launched an Article that Toei Media (One of the most biggest Japanese Animation Houses) alongside Shinya Egawa, Neal Edelstein, Eric Basset and Mike Macari as Producers; are doing an Horror-Film called the Temple. Which centers on a Japanese haunted Temple. The Famous Writter Eiji Otsuka (MPD-Psycho) will release a Book filled with haunting stories about haunted temples on Japan. That Book will appear on the Movie. Also Toei will make a 15 chapter Anime Tie-In. The Shoot will start in Japan this Year. More details about the story and actors are still Unknown. With this and that other Hollywood Movie based on a Manga (which is also Horror) it looks like Hollywood is watching at Japan again regarding Movies.